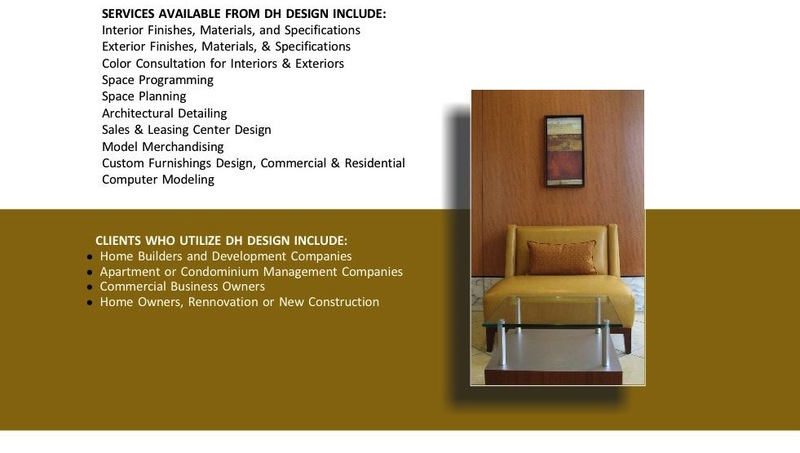 DH DESIGN is as likely to be called upon to value engineer a design and find creative, tasteful ways to achieve the objective as it is to design upscale pieces or spaces with fewer budget constraints. Both large, multilayered projects and less complex consultations begin with artist Roskopf's automatic understanding of art principles, the decision springboards for any aesthetic. That understanding combines with experiences beyond interiors, including graphic design and fine art/trompe l'oeil to keep DH Design services in demand. Long time alliances with many talented local firms allow expansion of services whenever needed.